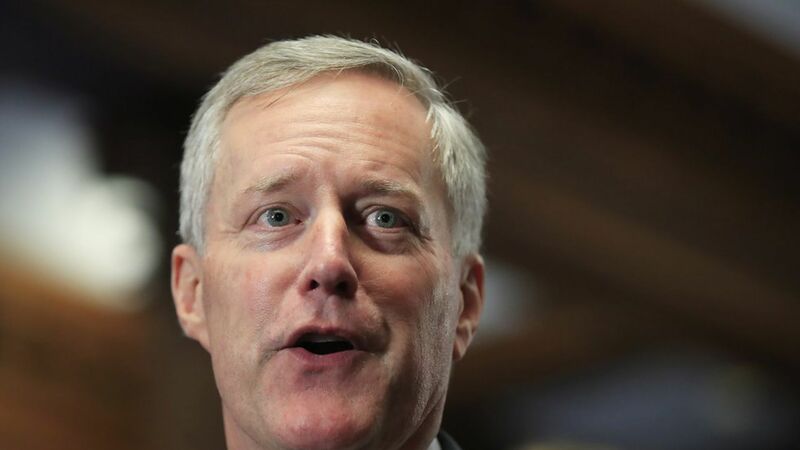 House Freedom Caucus leader Mark Meadows urged Congress not to attach Hurricane Harvey funding to a debt-ceiling increase, calling it a "terrible idea" that would conflate "two very different issues," per The Washington Post. "The Harvey relief would pass on its own, and to use that as a vehicle to get people to vote for a debt ceiling is not appropriate," Meadows said. Timing: Congress has yet to announce how it plans to respond to Harvey. Meanwhile, Texas lawmakers are ramping up pressure for swift action on an aid package that was needed yesterday. At the same time, the deadline to raise the debt-ceiling is rapidly approaching at the end of September. Why it matters: Meadows' warning reveals that passing a bill will still be difficult, despite administration assurances that the debt-limit will be raised by the end of September and the hurricane making government funding easier. Go deeper: What will happen if the government fails to raise the debt ceiling.